Posted by Chris Mark in Risk & Risk Management, weapons and tactics. With the current state of affairs I thought it appropriate to ‘republish’ this blog post from 2012. You can also read the article from Secure Payments Magazine on the same topic applied to InfoSec. Asymmetric Warfare can be described as the strategy of using weapons, tactics, and methods to render the asymmetry that exists between two adversaries as moot. Consider the US Military for a moment. Since the end of World War II, which is arguably the start of US hegemony, the United States has fielded what many believe is the most powerful conventional military in the history of the world (or at least modern world). In spite, of this fact the US, and her allies) have struggled in conflicts in Vietnam, Somalia, and most recently in Iraq, and Afghanistan. In each of these theaters it was groups of lesser-trained, relatively ill-equipped insurgents that created significant challenges to the US military. By applying guerilla tactics, and employing IEDs and other technologies, the adversaries were able to balance the perceived asymmetry between the might of the US and their own capabilities. The US is not alone in this dubious distinction of struggling with conventionally weaker adversaries. The Soviet Union was defeated in Afghanistan in the 1980s, and a much weaker France, led by Napoleon, defeated the powerful Prussian Military. France, in turn, lost French Indochina with the coup-de-grace coming in the surrender at Dien Bein Phu in 1954. If each of these countries were militarily superior to their foes, how did they end up losing their respective wars? These examples outline the effectiveness of asymmetric warfare. While there exist a number of different definitions of Asymmetric Warfare, in a basic sense it applies to the strategies and tactics employed by a militarily weaker opponent to take advantage of vulnerabilities in the stronger opponent. As an example, few military forces on the planet would face the US military and her allies in open combat either on land or the sea. Doing so would be certain suicide. A look at the Persian Gulf War in 1991 shows the result of taking on the military might of the Western World in open combat. The Battle of Medina Ridge is a prime example. 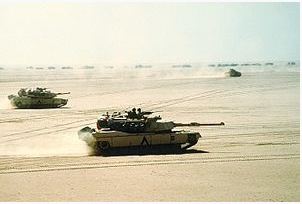 In this battle between the US 2nd Brigade, 1st Armored Division against the Iraqi, 2nd Brigade of 2nd Medina Luminous Division the US recorded 1 killed, and 30 wounded while recording 4 tanks as being damaged. The Iraqis, meanwhile, reported “heavy manpower losses” while reporting 186 tanks destroyed and 127 Armored Fighting Vehicles destroyed. “At one end of the spectrum, ranks of electronic boxes buried deep in the earth hungrily spew out endless tapes. Scientists and engineers confer in air conditioned offices; missiles are checked by intense men who move about them silently, almost reverently….in forty minutes the countdown begins. This is warfare today. Unfortunately, the US, and her allies have learned that technology alone cannot win a war against a determined, creative enemy. Adversary B could & would respond to Adversary A by doing X. Now we have the simple conclusion that statement (1) represents an asymmetric action if statement (2) is false, and it represents a symmetric action if statement (2) is true. 1a. Adversary A would attack Adversary B by using terror tactics against the civilian population. 2a. Adversary B would respond to Adversary A by terror tactics against the civilian population. If statement 2a is false then the threat in 1a is asymmetric. It must involve a weapon, tactic or strategy that the adversary both could and would use against another adversary. It must involve a weapon, tactic, or strategy that the would not or could not be be employed by one adversary. It must involve a weapon, tactic, or strategy that, if not countered, could have serious consequences. If a threat meets these three criteria, it would be considered asymmetric. While not intended to be a comprehensive discussion of Asymmetric Threats the basic concepts are relevant in today’s world. Posted by Chris Mark in Laws and Leglslation, Politics, terrorism, weapons and tactics. Posted by Chris Mark in weapons and tactics. I rarely, if ever, endorse products on this blog. A few months ago I had a chance to meet Lloyd Hill of Long Range Shooting Shop (Plano, Tx) at a range outside of Dallas when I was doing some shooting for charity. He also has a blog at www.MaxAccuracy.com. I also had a chance to shoot one of his custom 7mm Remington Mags…if you are in the market for long range shooting instruction or custom long range rifles…Lloyd is the person to speak with. As a former Marine Scout/Sniper, I am not easily impressed on the range. Lloyd impressed the hell out of me. Not only does he understand long range shooting, but he practices what he preaches. 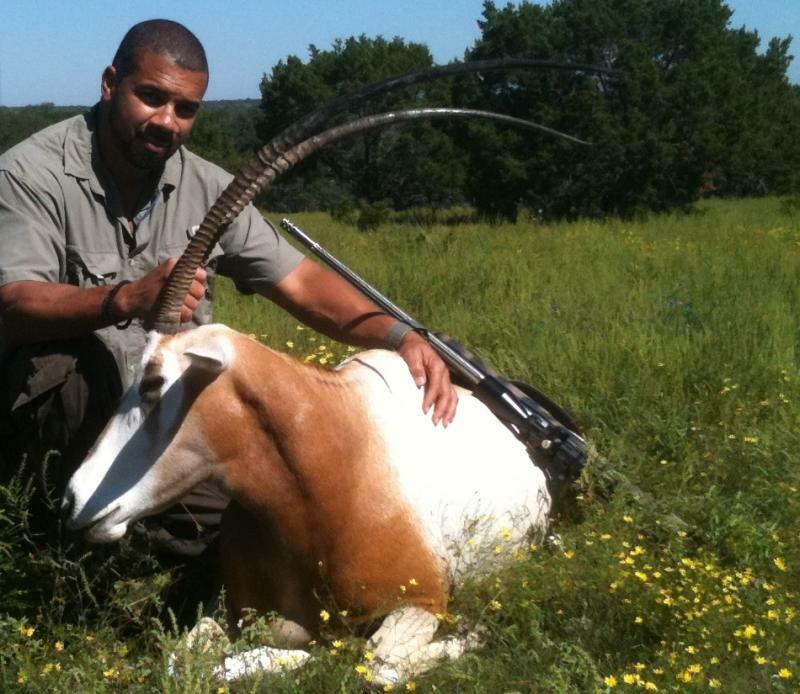 (he is a nice guy, as well with some great stories:) He spent years “overseas” and is an avid hunter. This guy does not build “Brandy Gun” (an overly expensive gun that the owner cannot shoot…he only pulls it out to show is other rich friends when they are drinking brandy from a snifter). Lloyd builds custom, long range rifles. As a testament to his skill in making a rifle, I put two rounds in less than 2 inches at 500 yards with the 7mm. For you shooting enthusiasts that is less than 1/2 MOA at 500 yards…on a rifle I had never shot. Here is a video of Lloyd. Jeff Fox, a former Marine Sniper I served with many years ago has a new blog called Bullet Logic in which he talks about long range and tactical shooting. He is still very active in shooting and competitions and his blog provides some great information and insight into long range and tactical shooting. If you are interested in long range or tactical shooting, take a spin over to Bullet Logic. It has some very good information. Posted by Chris Mark in Industry News, Laws and Leglslation, terrorism, weapons and tactics. 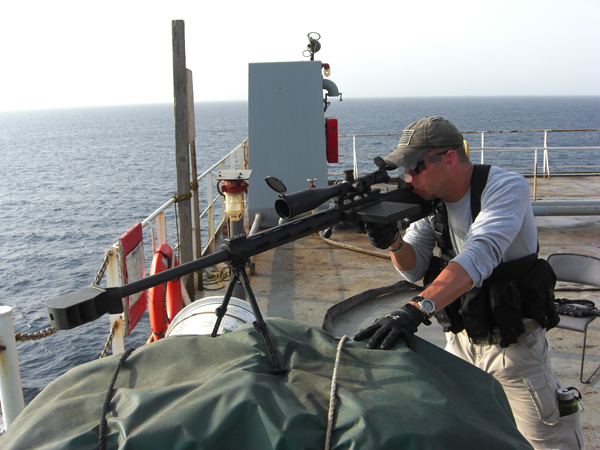 Nexus Consulting Group is scheduling a webcast for the week of May 21- 25 on the topic of the Use of Force in Maritime Security. Recently, a video surfaced of a maritime security company firing on Somali Pirates. While the topic has been debated, Nexus was mistakenly identified as the company that took action. If you are interested in learning about Use of Force and the legal issues, then contact Nexus at info@ncga.us and note your interest in attending the webcast and we will advise which sessions are available. You can download the Use of Force Primer and follow along document here. Having previously worked for a maritime security company, I felt pretty informed on the Use of Force and Maritime issues. After speaking to Kevin on numerous occasions, it was apparent that Kevin is an expert on Maritime Security and the industry at large. I always come away from a discussion with Kevin impressed and having learned something new about maritime security. Any knuckle-dragger can carry a gun and use it indiscriminately. It is appropriate, disciplined use of a weapon that separates professional security from amateurs. There are few security companies that I would recommend and that have the expertise to protect ships while minimizing risk to ship owners. Use of force is an critical yet complex subject. I recommend you take the opportunity to listen to an expert on maritime security and definitely take the opportunity to ask questions.